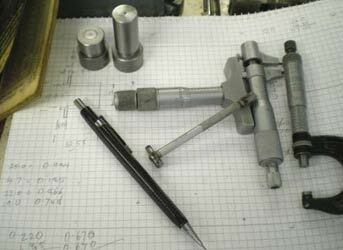 This year the World and European Championships are in Pila Poland and I am really looking forward to it, but before then there is lots to do in the workshop. 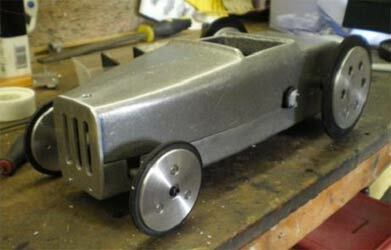 I have decided to make a start on my Australian hot rod car. The intention is to run it at Great Carlton. 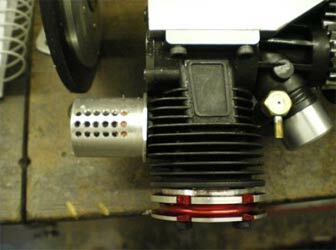 I bought this engine from Hobbyking for less than £60 delivered. 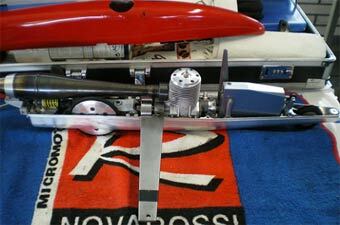 The performance, if you believe what it says on the packet, is as good as a top of the range Novarossi 3.5cc. No room in the car for all the fins so they are being reduced. 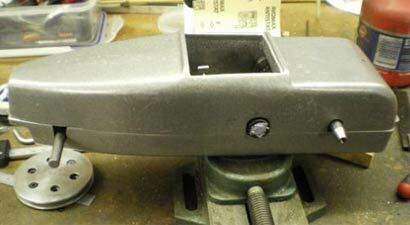 The start on the engine mounts. 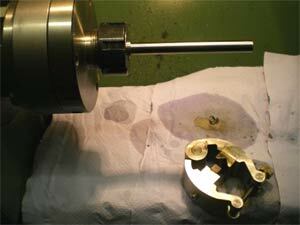 Continuation of the engine mount machining in the bearing housing for the axle. 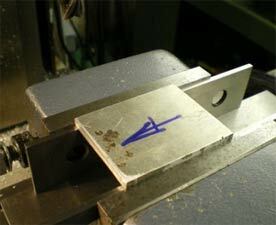 I drilled and reamed one of the holes then turned a mandrel up to fit the reamed hole. 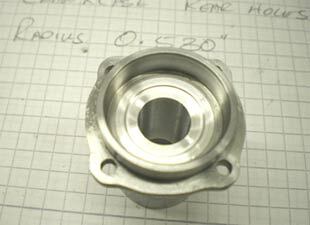 The engine mount on the mandrel having the first bearing housing machined. 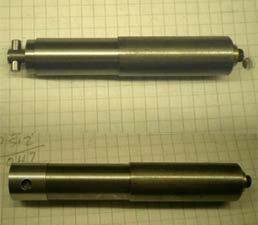 Another mandrel was turned up to fit the bearing housing and the other bearing housing done. 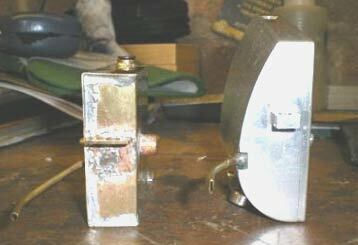 On the right the finished engine mount, bearings fitted and all the fixing holes drilled and tapped. The onboard battery going into the Alfa car and the undercarriage from a Lysander aircraft. 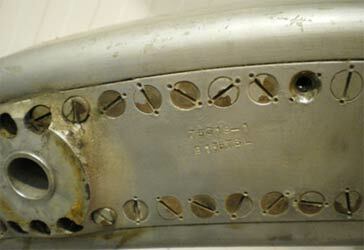 I just liked the way they had done the thread locking, no Loctite in the 40s. 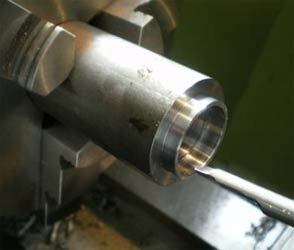 I am in the process of making pistons for my 2.5cc engines. 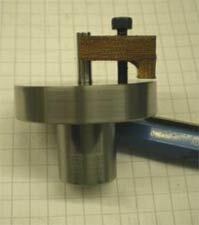 This is a jig for holding the pistons while the circlip grooves are machined in. 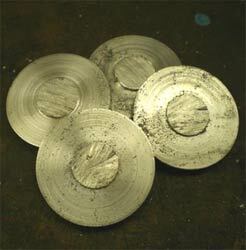 I have made eight piston blanks all the same diameter so with one set up I can cut all sixteen grooves. 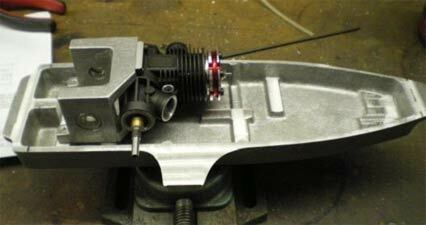 Neil Lickfold put up a picture of this jig, so mine is just a copy of his work. 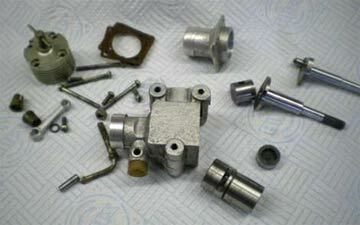 Right is another jig for holding the pistons. This one is to hold them while I machine them to fit the liners. Well that’s all for this month except my view on rules. The editors musing on rules are quite an interesting view point. Douglas Bader a famous pilot said "Rules are for the guidance of wise men and the obedience of fools"
Part of competing in racing is not only the actual race and the mechanics of running the racing machine, it is to also get the maximum advantage you can from the rules. This is all part of the sport. The only spirit of the rules I am aware of is the bottles that go round with shot glasses at tether car races. My diesel powered Cobra car has trundled round for the last couple of seasons at Great Carlton and is pretty much sorted now. Time for something new with a bit of suspension and glow powered. 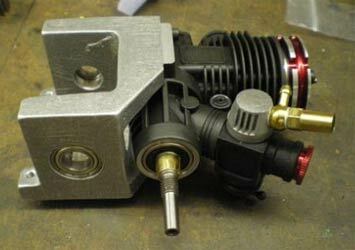 In last month’s ramblings I had started work on the engine mount. 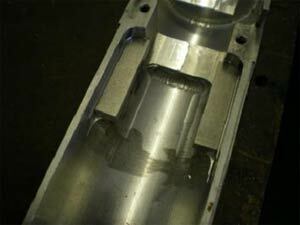 This is the bottom of the car set up on the milling machine to have the top milled flat and the same with the various mounts in the bottom. 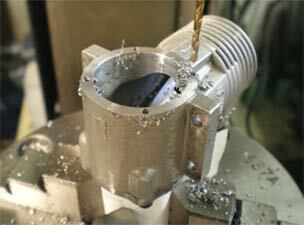 On the underside of the pan is a lug that can be used to hold the pan in a vice. 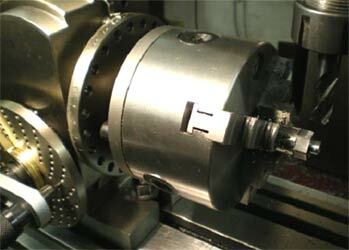 I milled it so it’s parallel and can be used when it comes to drilling the holes. 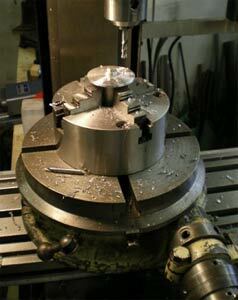 Drilling the holes for holding the engine mount in place, note the steel rule between the pan and milling table. 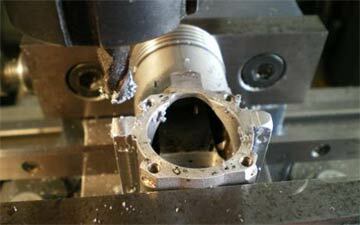 I hate holes in the tables on milling and drilling machines. The picture on the right is the gear that fits on the engine. 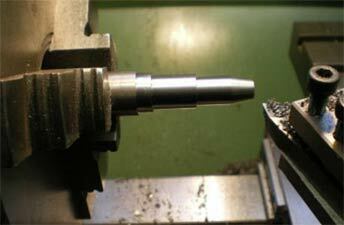 The taper for the collet is being machined and checked for size with the collet. What you can’t see is the saddle stop that lets me move the cutter out of the way without losing my settings. 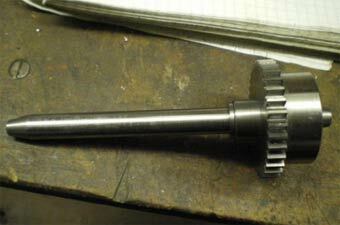 The flywheel nearly finished being parted off ready for pressing onto the stub on the drive gear then faced off to size. Fitted onto the engine, another car where everything is a tight fit. 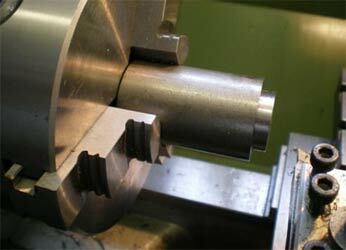 This is the back axle being machined up, a straight forward turning job. 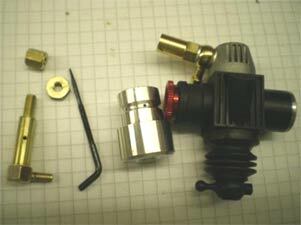 Picture on the left shows the taper for the wheel hub and the spigot where the gear fits. 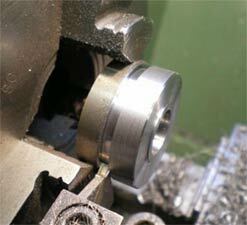 The other picture shows the other half of the axle that has to be a good fit in the bearings, I honed it to size. 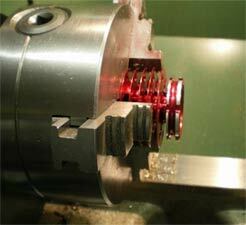 The output gear being set up for boring to fit the axle, important everything is concentric. 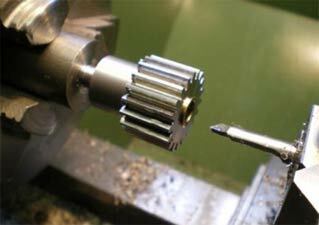 The gear come with a pre-drilled hole. 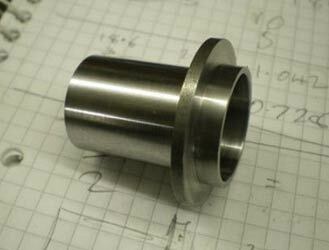 Fits the axle and ready to have the surplus metal machined off. 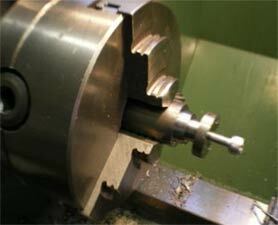 Milling the flats on the nut to hold the flywheel gear in place. 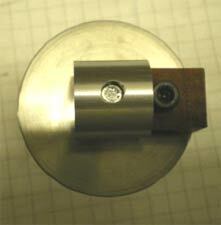 The small spigot on the nut is to help hold the flywheel central. 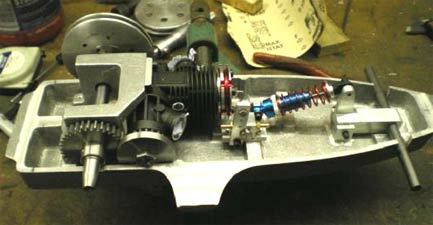 The other picture shows the completed drive assembly. 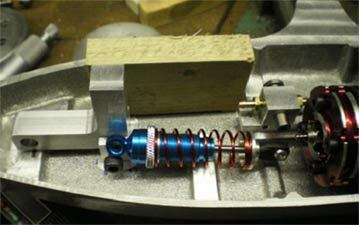 The gear on the axle is held in place with Loctite and a roll pin. Just seeing if it will all fit. The block of wood is the tank. I have two drawings for the car, neither seems to match my castings. One shows this small tank and the other a bigger tank. Glenn Bransby has sent me some pictures of the cars and some have huge tanks, I will probably build something in between. On the right the suspension based on Class 3b cars is in, along with the shut-off that I made last year. Not much progress on the modern cars. On my new 2.5cc car I have completed the fibreglass work and Aaron is in the process of painting it for me as he can do it at work in the warm. 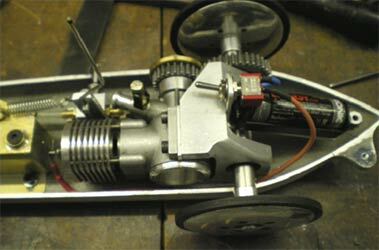 The 3.5cc car is ready for this season as is one of the 2.5cc cars. I got an email out of the blue asking me to do a talk on tether cars from SMEE, The Society of Model and Experimental Engineers. This is possibly the oldest model engineering society in the UK. 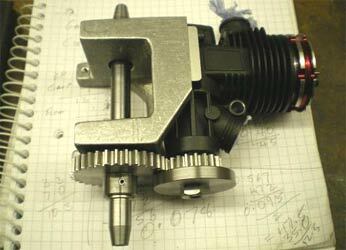 I am going to do a talk titled 'Tether Cars high speed model engineering' in January next year in London. That’s it for this month, must spend more time in the workshop, lots still to do. I have finally finished my new 2.5cc car. Aaron has painted it for me in Jaguar racing green, and I have done all the little time consuming bits. Top hats made and fitted in the body so the screws don’t scratch the paint work, rubber bump stops glued in place, spring clamp for holding the pipe done. Ready now for its first run on the track. Full speed ahead now with the hotrod car. 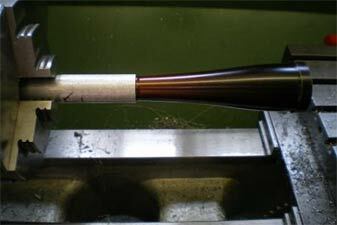 The top being milled flat and fitted to the bottom. 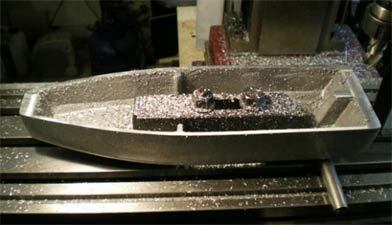 The next job is to cut off the cast-on hold down pieces on the bottom pan and cut the top to length. The front of the car all cut to size. 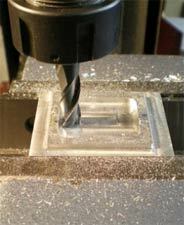 I used a roughing milling cutter to square the end off as it was the only one long enough. 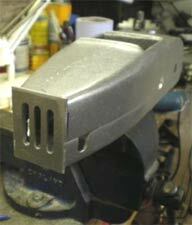 It cut off nice little crescents of swarf and gave a reasonable finish, in the vice is the start of the front grill. 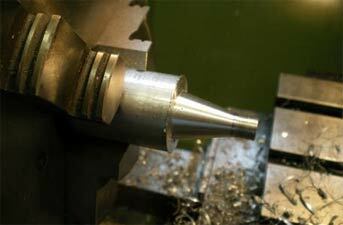 and I had the right diameter milling cutter. The grill fitted and roughly trimmed to size, the front wheels are a set of 1.5cc car rear wheels. Unfortunately we have no tyres to fit them, and it’s not an easy job to fit bearings in them. 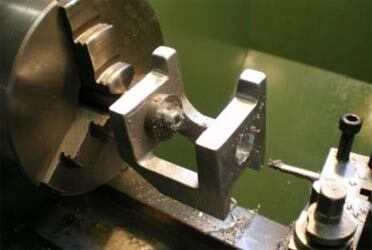 I saw this way of cutting wheel blanks on a Russian website, thought I would try it as my old mechanical hacksaw does not cut straight lines. 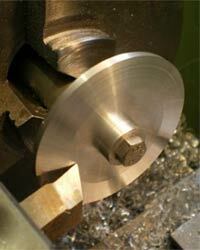 All the machining was done on the inside of the wheel. One half of the wheel was a tight fit on the bearing, this side fitted to axle, and the other side was a sliding fit so the two wheel halves would split. 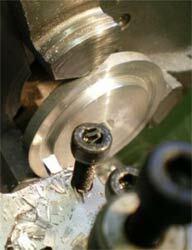 The second picture shows the machining of the outside of the wheel, the wheel was held by a split mandrel in the bearing housing. The outside of the wheel had a 5 degree taper on it. 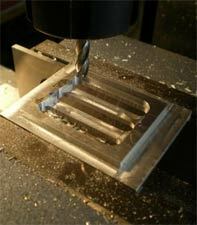 This was achieved by setting the top slide over, so it is not easy to control the depth of cut. 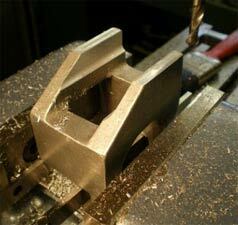 I use a micrometer saddle stop I made for setting the depth of cut. 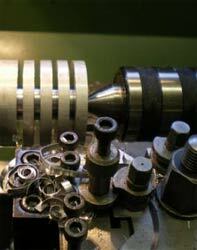 The other picture shows the milling of the counter bores for the screws that hold the two wheel halves together. The rotary table was an eBay purchase, hardly been used, just painted a couple of times and made in England. First time I have used it. Tank made and fitted in, the holding lug has been machined off the bottom and the car is on its wheels for the first time. 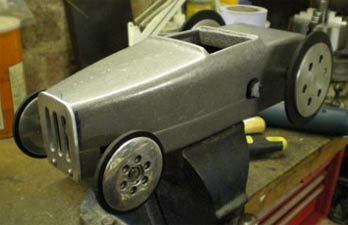 The car is nearing completion, just the tether arm to make when the steel arrives. I want to put a silencer on it as I think it will be quite loud. 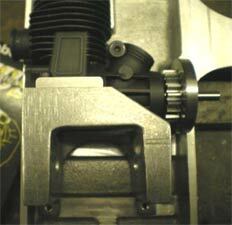 The silencer will also help slow it down, along with a small diameter venturi. 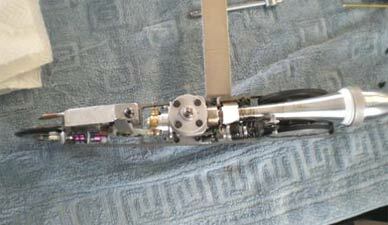 Need to make the needle valve assembly as well. The first race at Gt Carlton is on the 10th April. I hope to have the hot rod ready to run but I don’t think I will get the Alfa done in time. If I can scrounge some diesel I will run the Cobra car again. April is also the start of the European tether car season and Pila is going to be my first race, going to run two 2.5cc cars one Gado powered and the other with a Denneler Picco engine. It’s the start of a hectic couple of months racing. I am starting to plan a new interesting tether car project. 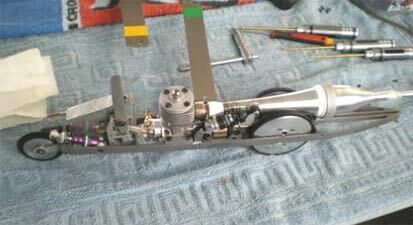 I have got one complete engine and a crankcase so far, more details next month. The last few jobs to complete the hot rod. 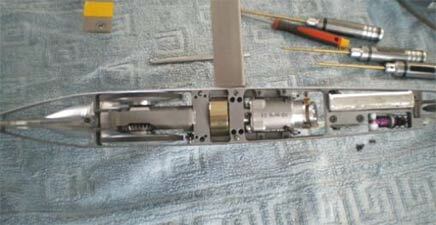 The engine came with an R/C throttle that I could not use so I made a needle valve assembly using my last Super Tigre needle and a Cox type venturi with holes round the circumference. The venturi had a small hole in it to slow the engine down. As part of the slowing down package I made an exhaust restrictor, I also hoped it would make the car a little quieter, and it did. The right hand picture shows the car after its second run at Great Carlton raceway after doing its seven laps. For the timed run I tried to shut it down but missed the shut off with my first attempt, it then flipped over and eventually ground to a halt. The damage was not too bad, a bent front grill, shut off arm ground away and some metal removal. I have repaired the car and it now sits on a shelf gathering dust, the front suspension did not manage to cope with bumps on the track. It’s a bit overweight with the aluminium top, Glenn Bransby is getting me a fibreglass top made which I will fit and then run the car in Europe and see what speed I can get out of it. 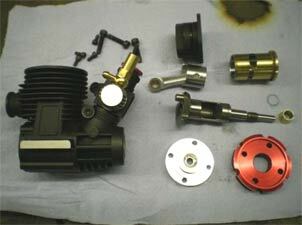 This is the engine for my next project which is to build a British made car powered by a British engine. The current British outright record is down to Joe Riding at 115.83mph or 186.37kph. Set with a Rowell car and engine in June 52, I think the Rowell was 10cc. 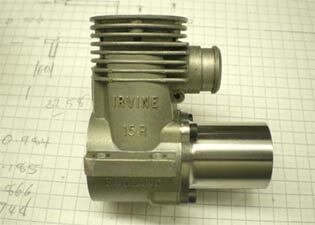 The engine is a 2.5cc Irvine that I acquired some years ago. 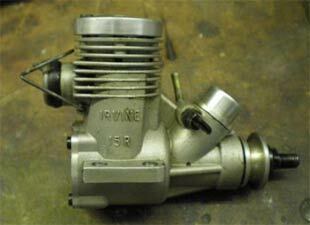 These engines have been very successful in the hands of the British control line speed fliers. The car will be a modern one and the pan will be an aluminium composite construction. It’s something I drew up a couple of years ago but have not built yet. 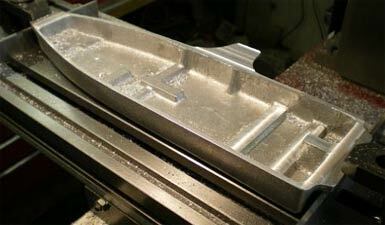 Linas made that superb CNC machined pan that I built my recent 2.5cc car on. I was given another crankcase for my engine build that has a slot cut in it above the exhaust port, not really sure what it’s for unless it’s to try and stop the crankcase distorting. 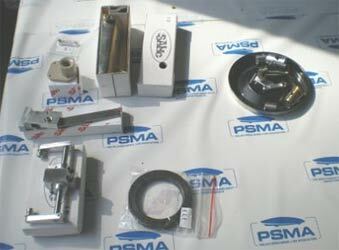 I have made a front housing for a 2.5cc engine before so I have the plug gauges for checking the sizes of the bearing housing. 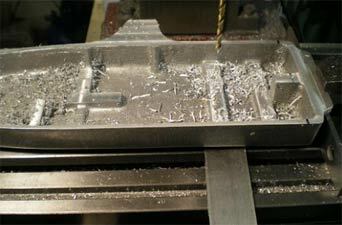 The start of the machining process, lots of metal removal and some accurate work required. 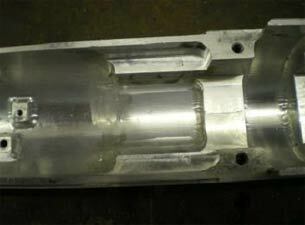 The rear ball race housing machined and the start of the front housing. 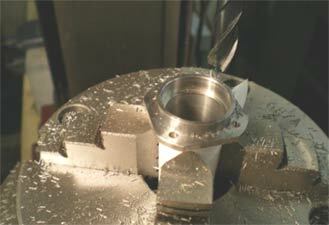 This is all machined in one go without removing the work from the chuck. This ensures it will all be concentric. On the right the partially finished front housing. The start of the summer is not a good time to start a new project as the racing season is about to start along with other distractions that will fill my time, so that’s it for this month. I am not anticipating much progress next month either as I will be maintaining/repairing my cars during the months racing. Plus I need to build something a bit slower to run over here. The workshop has been quiet for the last couple of months. 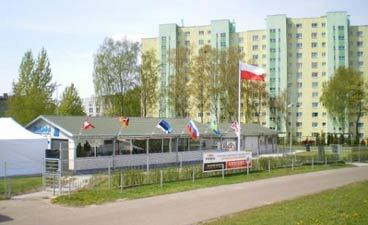 We started off our racing travels in Pila Poland and then onto Kapfenhardt and finally Tallinn. The next race will be the big one in Pila, the World and European Championships. More on turning the Irvine 15 round. 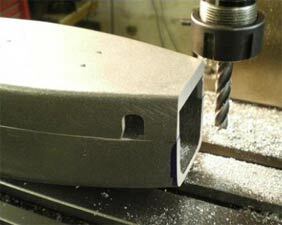 The front housing having the holes drilled and then milled to size prior to filing to fit the crankcase outline. 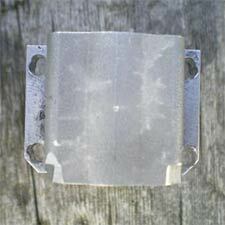 The second picture shows the aluminium bush that has been shrunk and located in place. 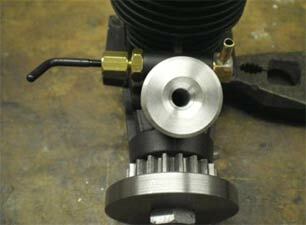 The bush forms the seal around the crankshaft and acts as the rear of the front bearing location. Not much else happening at the moment with my Australian hot rod car proving to be a bit quick. 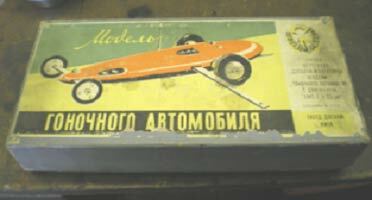 I have bought a Russian Temp schools car kit to build. This should be slow enough with a diesel powered twin shaft engine. The view from our hotel window in Pila. Bright and sunny for most of the race days but not very warm, and the venue for the World Championships. This is Hannes Virunurrm's new 2.5cc car. 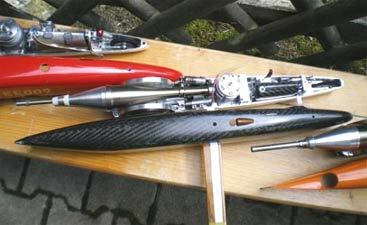 The chassis is water jet cut from steel plate with a carbon/Kevlar top and bottom, powered by a turned round Novarossi. 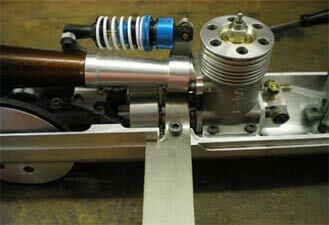 A very interesting piece of work and a simpler way of producing a chassis. 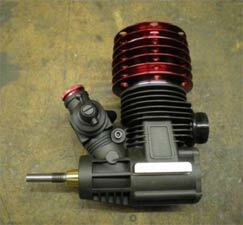 Lev Sprints had a variety of 3b car parts for sale along with Kapu 1.5cc liners, pistons and conrods. 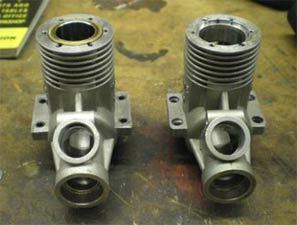 Piotr Jopek had cylinder heads for sale, not sure of the full range of sizes but I bought a couple of 2.5cc heads. Seen at Kapfenhardt, Jan-Erik Falk’s new 3.5cc car (left centre) powered by one of Otto Strobel’s Profi engines. The car showed promise during the racing at Kapfenhardt but went very well on its second time out in Tallinn. 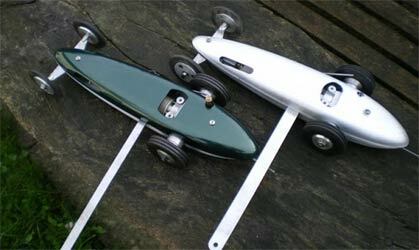 The other picture is Mart Sepp’s new 3.5cc car with a 3D printed top, the white one. 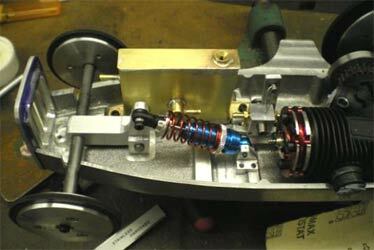 My new 2.5cc car is proving to be a challenge but there is hope. I got a 30kph increase over the three races and learnt a lot. The car is currently having some engine work done following a conversation with Andrei Smolninkov. The World champs are probably not the best place to trial it but needs must. 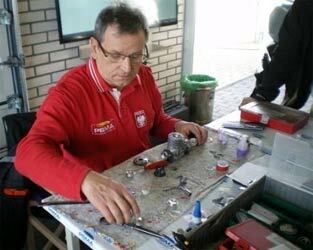 During the race in Kapfenhardt, myself, Otto and Jan-Erik discussed the fuel tanks in our 3.5cc cars as mine and Otto’s are very sensitive to the needle. I have made a new one, not the neatest soldering job but it doesn’t leak. 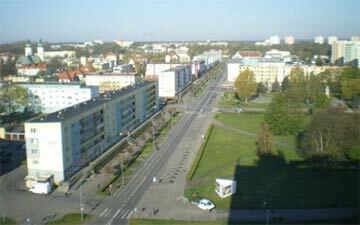 I ran it in Tallinn, it was certainly an improvement. 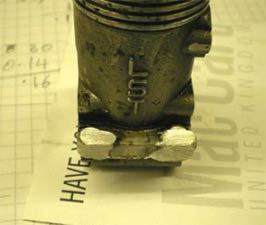 The engine is quite worn and acceleration was sluggish but the needle was less sensitive. 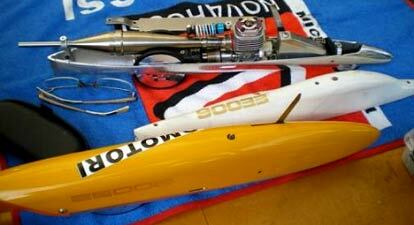 The engine is going to have a rebuild and I will use my new spare engine for the next race. I have been a bit busy over the summer and only the essential things have been done in the workshop to keep my cars running, or maybe not. So below are some of the things that I did. After my first visit to Great Carlton raceway the Australian hot-rod car was way too fast despite my best efforts to slow it down. 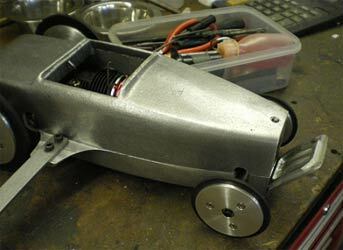 I built one of the Russian schools cars this also has proved to be a bit quick. The green one is the first tether car that Aaron built. 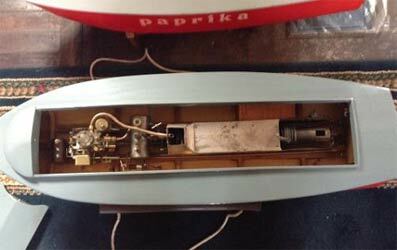 Bought one of these old Russian Twin shaft diesel engines it was gummed up solid with oil and would not turn over. A bit of gentle heat to get it apart and then a good clean it’s now ready to go for a yet to be decided project I like these engines they start really easily. 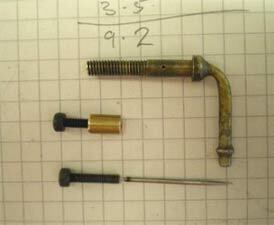 During the first run of my Russian car I lost the needle. The picture on the right shows the solution, M2.5 cap head drilled to take a new needle Loctited in, the spray bar was tapped M2.5. 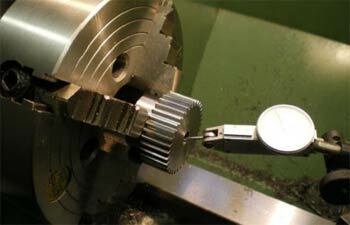 To stop the needle turning, a slot is cut and a nut with a tapered thread closes the slot. 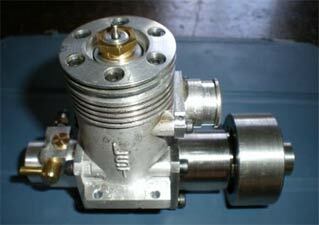 I have bought an old Stelling 2.5cc engine. 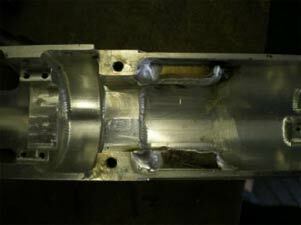 The hold down holes were in a poor state, a job for our local tig welder. 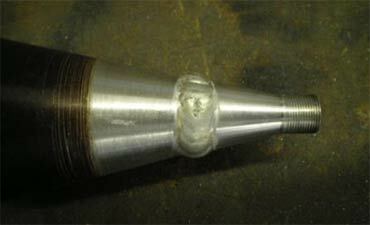 During the welding the castor oil has sweated out of the casting. 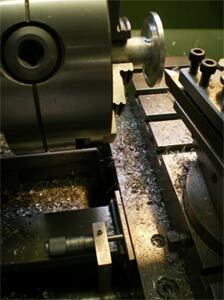 Then a straight forward milling and drilling job to put the holes back in the right place. I wanted to put the Stelling engine is my Sepp car but this will be 4th engine to be fitted, all with different hole spacing’s. 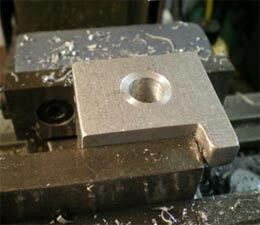 I milled out about 5mm of metal from the pan made some 5mm plates and had them welded in and then milled them flat and the 4th set of holes went into new metal. I had bought all the additional change wheels on eBay that I needed to convert it. 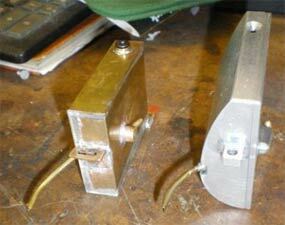 On the right the finished header to fit a 2.5cc engine. This has not been one of my better years with the cars, my goal is to eventually break the British 2.5cc record, I got close in 2012 but have got slower every year since despite my best efforts. I now have two Stelling 2.5cc engines which seem to be the engine of choice for these Class 2 cars, and lots of different pipes. Next season I am going to work on one car and not split my efforts in two, and choose the competitions were I can get the most training time and competitive runs. We have one more competition left this year in Tallinn for the Lucia race, got to choose a car, so here’s hoping this is the start of some improvement in speed. I don’t have a winter project at the moment, which is unusual. 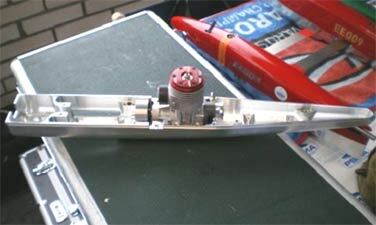 I went the Midland Model Engineer Exhibition and was given a straight running boat minus the steam plant. 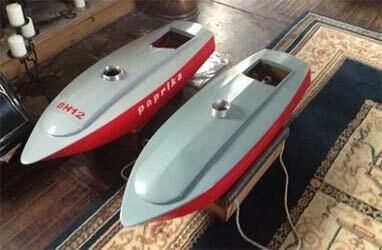 Over 30 years ago I built the same boat designed by Alan Rayman. Alan helped with the build of the boat, all the correspondence by letter. 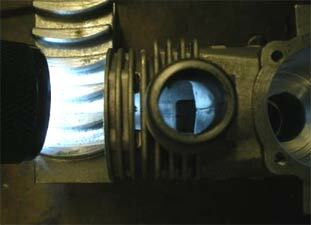 I built and fitted his high-speed marine steam engine with a flash boiler in mine. Putting a steam plant in could be a project. 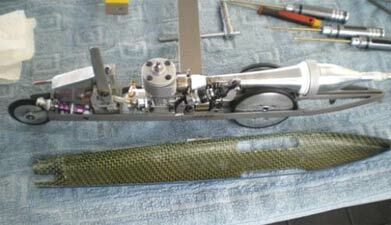 I used to be a competitive free flight model aircraft flyer and I have always had a desire to build an F1B Wakefield rubber powered model, these are really high tech now compared to what I used to fly. Back to cars, we have bought another 1.5cc car, it’s going to be delivered to Tallinn.